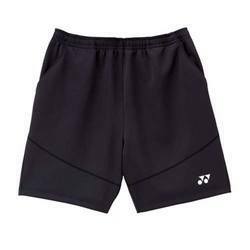 Pioneers in the industry, we offer sports shorts, sports wear, sports t shirts, mens sportswear, sports uniform and jogging suit from India. 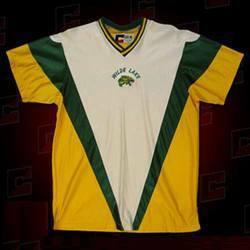 Our sports wear collection includes tracksuits, T-shirts & shorts etc. They are manufactured from qualitative cotton & polyester and are available in different sizes, elegant designs and colors. 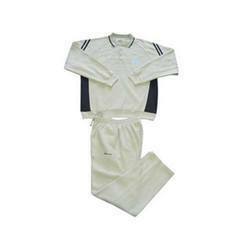 Our sports wear are comfortable to wear and are available at very competent price. 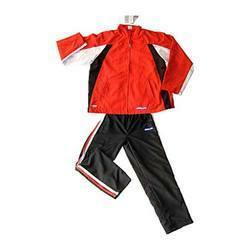 Our tracksuits are fabricated from high quality polyester, which absorbent sweats and are comfortable to wear. These products are customized as per the requirement of our clients. We also have comfortable and stylish shoes, which are of high quality and can meets the international; standards. Our entire spectrum of our sports T shirts depicts the sporty looks and theirs stitches and cuts are in accordance with their special sporty purposes. 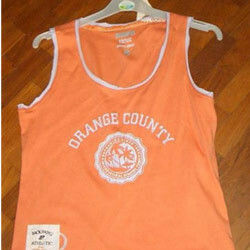 These are made-up in a blend of cotton and some other fibers including polyester and some others. The finishing of these wears are really comfortable. 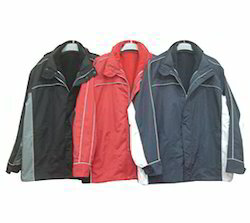 We export men’s sportswear that is exclusively designed for sports persons. These are sweat absorbent and perfect to wear during sports activities. Our range is neatly stitched and known for long life. 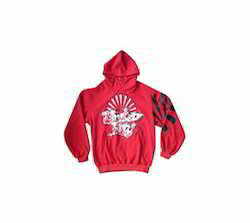 We also offer customization on our collection as per the specification of clients. 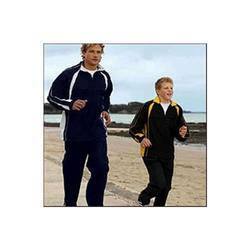 Avail from us a variety of men's jogging suits, that are ideal for performing the exercise as well as playing the sports. Fabricated using sweat absorbent fabric, these jogging suits are available in magical mix of vibrant to pastel colors. We hold expertise to customize our range in accordance with clients' specifications. 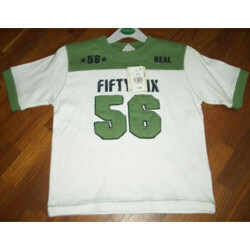 Half sleeve t-shirts or sport t-shirts are one of the special garments that we have in our collection for girls. These sport t-shirts have mega sleeves and have flashy candy stripes. Available in numerous colors and designs we also offer to fabricate these as per the clients’ requirements. 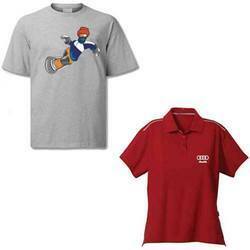 We offer sports T-shirts in different colors made of premium quality fabric. These sports t-shirts are designed with perfect stitching and offers complete comfort to the user while playing or gumming. 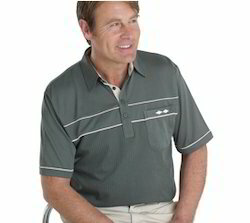 Looking for Mens Sportswear ?